RHS-1942_Marie Gallagher Daskevich HUSBAND: ANTHONY F. DASKEVICH, 87, of Mansfield, TX & a retired U.S. Army brigadier general, passed away peacefully Sept. 19, 2006, surrounded by his wife and beloved family members. Burial was in Dallas/ Fort Worth National Cemetery. He was born in Mingus, TX. He entered the U.S. Army in 1941 and served in Europe during World War II. His combat decorations include the Distinguished Service Cross, two awards of the Silver Star, the Bronze Star and the French Fourragere. He also twice received the Purple Heart. He continued his service in the Army for a total of 34 years, rising to the rank of brigadier general. After his retirement, he continued to serve his family, community and church in Mansfield, where he had resided for the past 30 years. Brig. Gen. Daskevich was a much-loved and respected man who provided a sterling example of integrity, dignity and dedicated service to the nation, love of family and devotion to God. He was preceded in death by his parents, Valeria and Joseph Daskevich of Ranger; and brother, Joe Daskevich of Midland. Survivors: His loving wife of 60 years, Marie Gallagher (RHS-1942); his daughters, Lynda Hinds of Arlington and Dorothy Ford of Granbury; his sons Anthony of Fort Sill, Okla., and Daniel of Granbury; two grandchildren; five great-grandchildren; and his sisters, Helen Hood, Louise McGee, Betty Yeager and Faye Basham, all of Fort Worth. 13 TO BE INDUCTED INTO THE ORDNANCE CORPS HALL OF FAME Brig. Gen. Anthony F. Daskevich was born and educated in Mingus, Texas. His parents, Mr. and Mrs. Joe W. Daskevich and family moved to Ranger during WWII. He married Marie Gallagher of the Class of 1942. His father drove a Dr. Pepper truck. Two sisters went to school at RHS as did several nieces and nephews. His brother, Joe, attended RJC and married Gaynell Gideon of Ranger. Tut went into WWII as a draftee and received a Battlefield Commission. Tanks. Went in at North Africa, then Italy and then Europe. DSC, 2 Silver Stars, 3 Purple Hearts. The Chief of Ordnance announced that 13 individuals will be inducted into the Ordnance Corps Hall of Fame during Ordnance Week activities at Aberdeen Proving Ground. Included in the list are four historical inductees: Maj. Gen. Waldo E. Laidlaw, Brig. Gen. Donald Armstrong, Dr. Frank E. Grubbs and Dr. John W. Mauchly. Contemporary inductees include Gen. John G. Coburn, Maj. Gen. Chester M. McKeen Jr., Maj. Gen. James W. Monroe, Brig. Gen. Anthony F. Daskevich, CW4 Jay G. Gruwell, CSM Billy E. Prysock, Dr. Philip W. Lett, Dr. Rocco A. Petrone and Dr. Joseph Sperrazza. The Ordnance Corps Hall of Fame was established in 1969 to recognize and memorialize individuals who made a positive, significant contribution to the U.S. Army Ordnance Corps. Its members are honored in a permanent display in the Ordnance Museum at Aberdeen Proving Ground, Md. Anthony F. Daskevich began his Army career as an enlisted soldier in 1941. Rising through the ranks, he received a battlefield commission during World War II and led a tank platoon in combat in the European Theater. In 1951, following an assignment as a maintenance officer in Germany, he transferred from the Armor Branch to the Ordnance Corps and took command of the 18th Ordnance Medium Maintenance Company in Germany. In his next assignment as an instructor for the Officer Basic and Advanced Courses at the Ordnance School, he was given responsibility for revising Field Manual 9-10, the only Army publication dealing with Direct Support maintenance operations at the time. Much to his credit, he applied lessons learned as a maintenance company commander and combat veteran to update and improve field maintenance doctrine. Following assignments as Ordnance Advisor to the Venezuelan Army and as a project officer on the Ordnance Board, which was subsequently incorporated into the Maintenance Agency, Combat Developments Command, Aberdeen Proving Ground, he took command of the 4th Ordnance Battalion (Maintenance and Supply) in Korea. This battalion integrated all non- divisional Ordnance, Signal, Engineer Maintenance, and Quartermaster units in South Korea and was one the precursors of the multi-functional corps support battalion. Under his leadership, the 4th Ordnance Battalion developed the standing operating procedures necessary for these diverse units to function as a team. From 1966 to 1969, he was assigned to Combat Developments Command, most notably as the project officer for a Department of Army project known as Combat Operational Loss and Expenditure Data-Vietnam (COLED-V). Within three months, he devised a collection plan and organized teams to collect data on combat vehicles damaged by enemy artillery and assess artillery ammunition expenditure rates. The results led to improvements in vehicle survivability and laid the groundwork for developing revised ammunition expenditure tables. Concurrently, he was tapped to support a Department of Defense project for Utilization and Redistribution of Material in the Pacific Area (PURM). Here again, he and his team excelled. Under Lt. Gen. Joseph M. Heiser Jr.�s guidance, they developed an inter-service plan to identify and redistribute excess material that, in turn, helped the government avoid both unnecessary new procurement and drains on existing depot stocks. 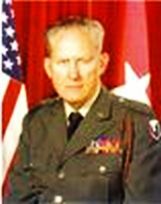 He culminated his career in a number of key assignments: Commander, Tooele Army Depot, 1969 to 1971; Commander, VII Corps Support Command, 1971 to 1973, and Deputy Commanding General, US Army Tank-Automotive Command (TACOM), 1973 to 1975. At TACOM, he overhauled the wholesale supply operation, improving stock availability from 58 to 85 percent, and established a liaison program with the divisions and separate regiments specifically designed to address the units� readiness problems. Daskevich retired in 1975 after 34 years of service, 24 of them as an Ordnance officer who made a wide range of contributions to the Corps.